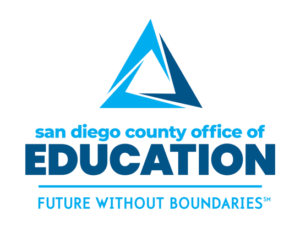 The San Diego County Office of Education (SDCOE) recently announced an agreement with the National Student Clearinghouse to provide a subscription to StudentTracker® for High Schools for every high school district in San Diego County, California. This effort is part of SDCOE’s ongoing efforts to boost college enrollment rates. According to SDCOE, fewer than half of the county’s high school graduates go on to college, including thousands who meet admission requirements for University of California and California State University schools. StudentTracker for High Schools tracks college enrollment, progression, and completion rates using actual college enrollment data – not student surveys, which are generally not accurate enough to use as a basis for decision making. Using StudentTracker for High Schools’ aggregate and detail reports, high school districts can finally see what really happens to their students after high school graduation. SDCOE will work with high school districts to use the data they receive to see patterns, make research-based changes, and measure impact. The office will support high school districts as they make sense of the StudentTracker for High Schools’ data, and it will also collect and analyze the data at the countywide level to provide important benchmarks for individual school districts. How many of your high school district’s graduates enroll in college? Do they go on to graduate from college? The Clearinghouse’s StudentTracker for High Schools team looks forward to helping high school districts across San Diego County and the nation understand where the gaps are – and what schools can do to ensure that more students enroll in, and graduate from, college.